Midsole: Compression molded EVA, soft foam insert on the arch side, forefoot+rearfoot DNA gel cushioning units, thermoplastic (TPU) shank. Ghost 6 is an example of textbook neutral running perfection. We think this is the best version ever, with all the elements of the shoe working together beautifully. Easy to overlook its only flaw, which is slightly lower outsole durability. Only if all movie sequels were like the Brooks Ghost. We first reviewed the Ghost in its fourth version, and ever since, shoe has continued to blaze the path of neutral running excellence. Year after year, small yet meaningful changes made the newer version of the Ghost better than the last. The Ghost 6 released in Fall 2013 is no exception. So what makes the shoe so good? The fundamentals of a good running shoe are fairly uncomplicated. A footwear last which results in a great fitting upper. Quality materials which feels comfortable, and upper design which do not pinch or dig while allowing flexibility and grip. Top that off with a sole construction which translates into a great ride. By the latter we mean excelling in weight distribution while running, and being cushioned or stable depending on the category. Sounds simple enough? But it is amazing how often brands get it wrong, and it never seems to come all together, even though individual elements might shine on their own merit. 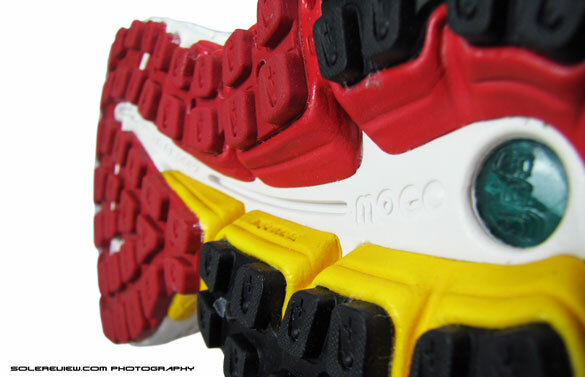 Because a good running shoe isn’t about just how the upper looks or feels, or what the level of midsole cushioning is. A good shoe is a sum of parts, with all it’s elements teaming up to deliver a wholesome package of competence. The Brooks Ghost 6 does better than competence. It has character. And its character comes from its versatility, the shoe’s unique ability to be able to appeal to a broad spectrum of runners. 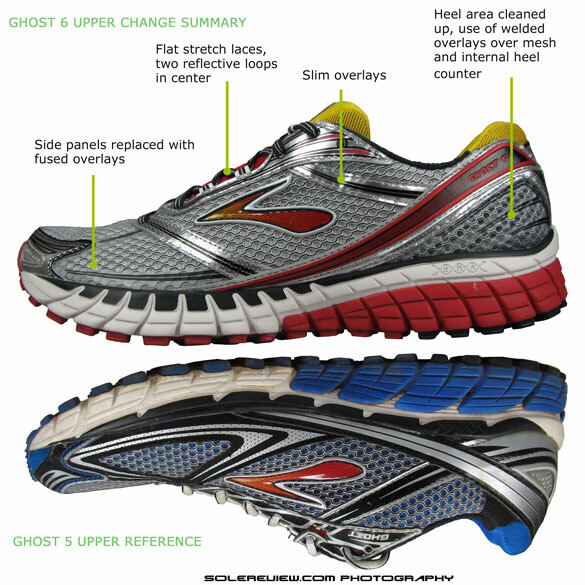 At the heart of all this is the Brooks Ghost 6’s DNA cushioning system, which employs gel inserts in heel and forefoot. 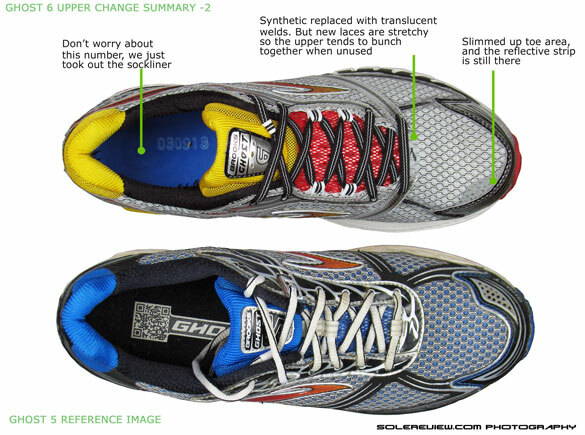 The DNA is different than other gels because the behaviour of the cushioning changes based on variables such as running speeds or weight of the runner, both of which result in different impact pressures on the shoe. The whole concept sounds like textbook marketing gimmick, but our experience supports the claim, which happens to be true. We talked about this in our Ghost 4 and 5 review, but we’ll cover it here again. The DNA gel units act in the way they do because these are made of special ‘non-Newtonian’ fluids. Sounds very geeky and all-science-y? This video is a great example of what non-Newtonian liquids are. A swimming pool filled with corn-starch is seemingly liquid, but you can run on it, provide you keep up pace. The science behind this is that certain ’non-Newtonian’ liquids behave like solids when pressure or stress is increased. This isn’t to say that Ghost 6 is full of soupy corn starch; instead it uses a polymer which behaves similarly like the stuff inside the fun swimming pool. We’d also like to clarify that the DNA gel pads aren’t full of Hulk green liquid; they just behave like one because well, technically they are. Another great example would be wet sand – soft to the touch but turn harder when you run on them. With all the funny science behind the DNA, it behaves in a unique way during runs. The cushioning units firm up when running at 8 minute miles or faster, and feel cushy when you drop speeds. Just seems to make so much sense, because a firm ride helps build tempo. Though the Ghost 6 has DNA units only in heel and forefoot, the overall ride comes across as very smooth. The midsole foam between the two DNA units is firmer at standstill, but the gel firms up during runs and matches the firmness of the foam – resulting in a consistent ride sensation throughout. Runners who are used to cushioning levels of the Asics Gel Nimbus and Vomero might feel that the Ghost 6 is too firm because of its adaptive cushioning. Past revisions on the Ghost have happened in small increments, but with the Ghost 6, the magnitude of change is greater. Efforts have been made to significantly unbulk the shoe, which has made the new Ghost 4% lighter than Ghost 5. The source of this lightness? Shaving off large swathes of synthetic leather on the upper and replacing it with welded layers of cling-film thinness. On the midsole, weight loss meant retiring the plastic shank and using a softer density midsole foam piece underneath the arch area. The laces haven’t been spared too. The new laces weigh half of the Ghost 5 ones. We’re not kidding, we actually weighed the laces on a scale. Even with all the slimming, the Ghost 6 ends up looking and feeling expensive, serving its $110 price tag well. The changes are very noticeable on Ghost 6; not only cosmetically but functionally as well. The toned down upper feels more pliant as compared to the Ghost 5, and the new, thin elastic laces help ease the top down pressure. The Ghost 5 had terrible laces which struggled to pass through the eyelets because they were so thick – and this also led to inconsistent lacing pressure. And they got twisted all the time, which was our only peeve on the Ghost 5. The new laces on the Ghost 6 are a great improvement over the 2012 version, and elastic laces do a better job at being tied than the old ones. 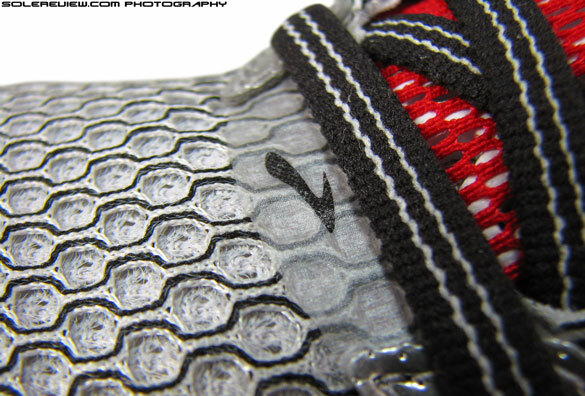 The midsole of the Ghost 6 comes minus the plastic shank, and now features three different densities of foam. 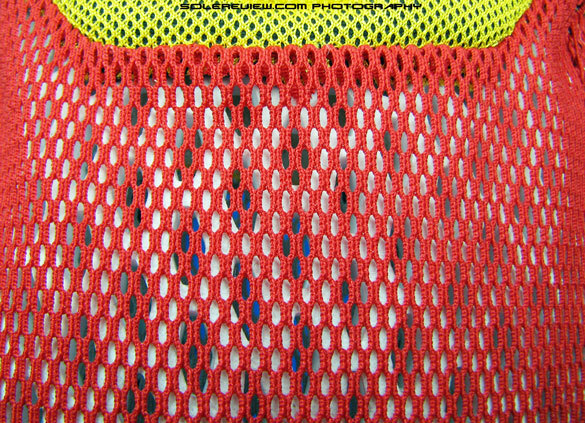 Starting from the heel area, the foam unit with the firmest density (red) extends towards the mid foot on the outer side. 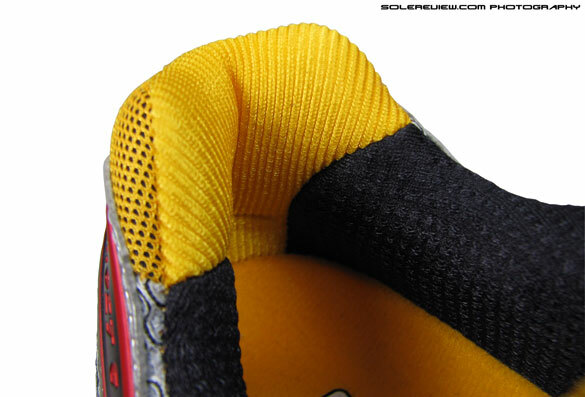 The softer unit (in yellow) is now plugged on the inner side, from the heel to the arch area. 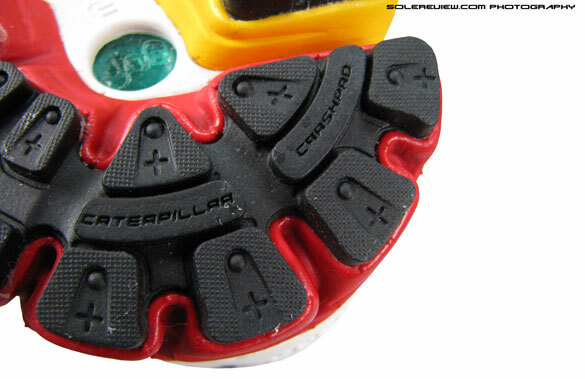 Both of these units are connected to the white foam which forms the bulk of the midsole. 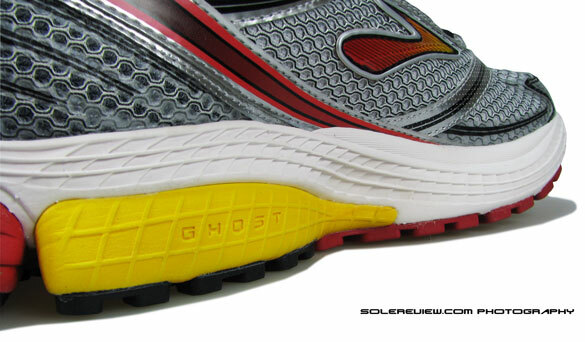 The soft yellow midsole foam unit is new for the Ghost 6, and affects the ride behavior significantly. 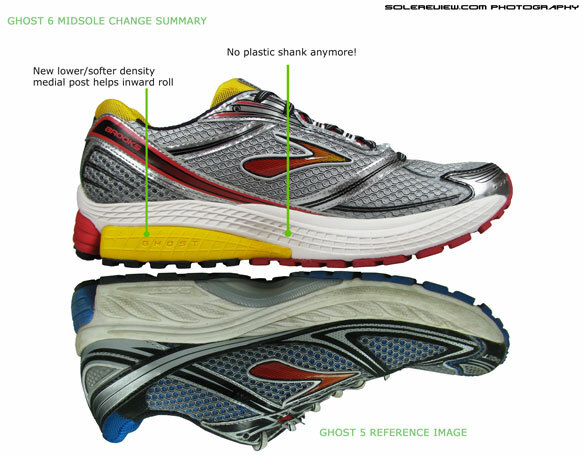 Runners who have migrated from the Ghost 5 will discover that the shoe has a higher tendency to lean inwards during foot strike. The ankle and the foot behaves accordingly, with an increased angle of eversion. This means that the Ghost 6 is practically out of bounds for mild to over-pronators, and makes it more suitable for high arched runners along with neutral pavement pounders. Since the Ghost 6 behaves quite differently from the relatively stabler Ghost 5, we would advice that you ease into the shoes by gradually building up the miles. A sudden transition might negatively impact the movement of your joints and associated support system, potentially leading to minor discomfort on your ankles, knees or upper leg, depending on running form. 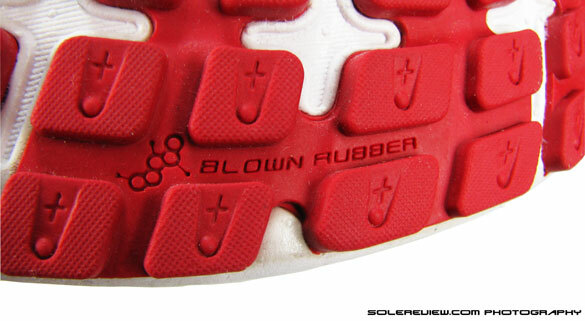 This did not happen to us while testing, but there might be certain runners who are sensitive to changes in footwear. Doing away with the plastic shank has allowed the Ghost 6 to extend its midsole right down to the surface.The gap seen and felt earlier under the arch is now gone, and the rubber lugs cover the entirety of the outsole surface. With this ‘full ground contact’, the ride is improved over the Ghost 5. Heel to toe transition is better as the brand claims, with runs feeling much more planted. 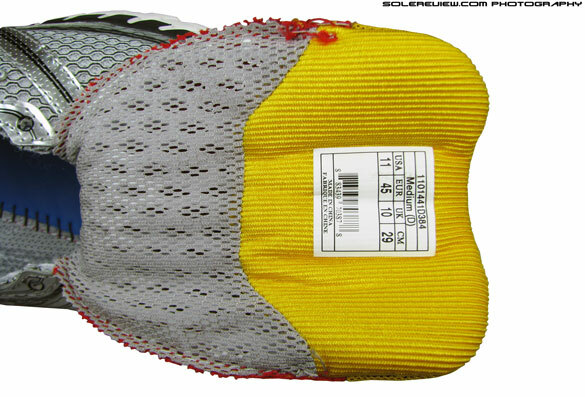 The outsole geometry is similar to the Ghost 5, with the design depending on a large number of lugs to provide grip and traction. 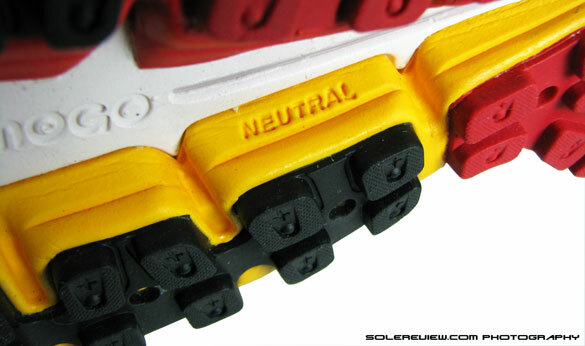 The rear foot has hard rubber, and the forefoot has softer blown rubber which results in padded toe offs. The grip is excellent on a variety of surfaces, but on the flip side, durability is an issue. We’ve got plenty of test miles on the Ghost 5, which uses the same material as the 2013 version. The rubber, especially in the heel and just under the forefoot is prone to wearing off, but an average runner should be able to do 300 miles without any issues. Unless you’re very heavy, or run in extremely hot weather on asphalt. Along with the changes, the Ghost 6 is also a redux of all things good in the Ghost 5. We loved the plush collar, with its dual texture fabric; the foam sandwiched tongue and the BioMogo sockliner, which cradles the foot (and the arch) with padded confidence. Other smaller detail carries over, like the reflective panels, anti-tongue-slide loop (we love that one) , and the use of premium upper mesh which breathes well. If you feel that our review is an unabashed praise of the Ghost 6, it is because we feel the shoe deserves it. This version is one of the best ever, and easily sets the standard for a neutral running shoe when it comes to meeting a perfect balance of everything. This is a shoe which does everything so well, with nary a glitch. Having said that, we’re slightly apprehensive about the friendly Ghost’s future. 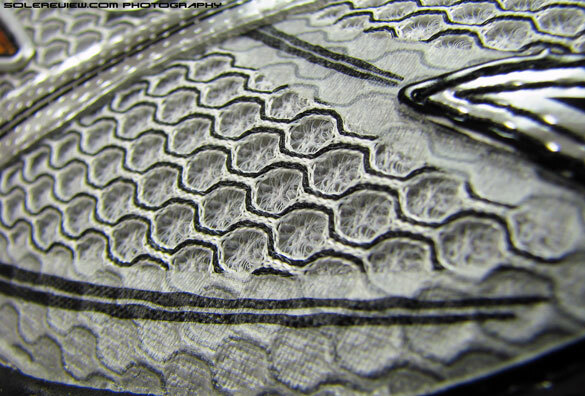 From what we know, the 2014 Ghost 7 comes without the DNA Gel cushioning, with the BioMogo foam doing impact protection duties. While we can’t pass judgement without going a few miles in the Ghost 7, we only hope that the new Ghost is as good as the Ghost 6. Look forward to our review in July 2014. Yes, you’re right, the rubber is prone to wearing off. We called that out in this review. The overall rating is not 8.6, but 8.9. Ghost 6 the BEST!!! That score is weighted and does not use simple average. Hello, I bought a pair of glycerin 12s (my very first pair of brooks- love how they fit my feet, feel, etc), but they gave me a blister on the back of my ankle on one side from little wear. Seems strange and maybe it is just something wrong with my pair, but wondering how these shoes are in comparison? My pair seems to have a lot of plushness that hugs the ankle tight especially one the one side (seems like a good thing, but my blister disagrees). I guess wanting something flatter with less grip there? I don’t know if this makes sense, but thanks in advance! Loved the feel of the glycerins and wanting something similar! The Ghost 6’s are nice and comfortable, but you might have trouble finding them because they’re the previous season model. 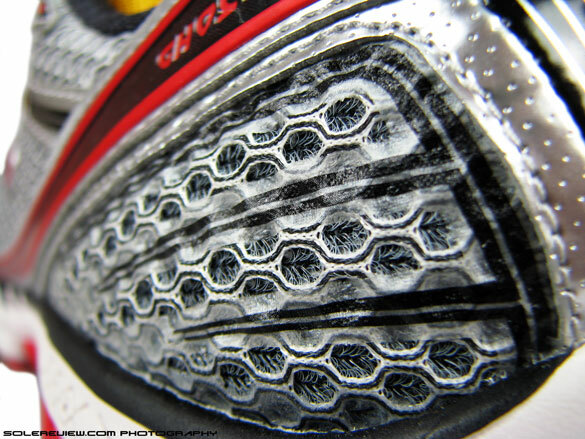 Can’t say what’s causing your heel blisters, how’s the sizing on the Glycerin 12’s for you? Good luck with your shoes! Both the Ghost 6’s and G-11’s are great shoes. You’re welcome! Happy to hear the G-6’s fit you well. I got these on sale and they are not too bad. If you are going to pay full price for them I would recommend pay the little bit extra and getting the glycerin – you get a whole lot more of shoe for your money. The Ghost 6 are light and serve a purpose although the cushioning and support is not as good as glycerin or nimbus. I personally don’t like the Ghost for doing anything over about 7 or 8 km. I find the midfoot too thin which could do with a bit more cushioning. As for the sole – I have never had a shoe which I got so many stones or gumnuts stuck in. This problem didn’t last too long as forefoot sole wore down way too fast. I did only about 150-200km before the forefoot sole was almost worn flat. I returned them to the store, who then sent them back to Brooks. A few weeks of going back and forth, it seems Brooks would not exchange them, but the store was good enough to replace them for me….. I buy heaps of Brooks gear, but this has left bit of sour taste in my mouth.